Becoming a father can certainly happen by default, so long as the right ingredients for making babies are present, however I’ve come to discover that the successful raising of children cannot happen by default, but by intentional efforts of both fathers and mothers. Despite the notion that good and absent fathers are scarce in today’s world, I personally know men who are doing a great job in fathering their children (including adopted children). These men are selfless, responsible, determined, intentional, loving and kind. They continue to exemplify fatherhood, as God intended. I’m sure we can all agree that being a father is not just about bringing into being, but also about sustaining and improving that which is brought into being. Intentional fathers provide strong leadership, stability and make their children feel safe, loved and cared for. Being a real father requires daily sacrifices: giving up one’s immediate and selfish needs for the gain of the children and family at large. 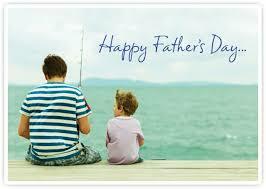 Fathers play an important role in God’s agenda, relationships, families, society, and in every sphere of life. Throughout Bible history, we see male heroes who accomplished great things by the way they conducted themselves as leaders, heads of families, priests, prophets, kings, judges, friends, warriors etc. As we celebrate another Father’s Day, a day aimed at honouring fathers and celebrating fatherhood, paternal bonds, and the influence of fathers in society, we must do so sincerely, consistently and emphatically. Being a father is not lacking of its own challenges, but in order to continue to be relevant, good dads strive daily to maintain the race of being the fathers whose children celebrate and wish to emulate. These great men are worthy of our honour and deserve our applause. They set the standards for today and raise the bar for the generation coming after them. For other fathers, my question is, will future generations become all they are meant to be because of your involvement in their lives? Or will they be carrying extra baggages into their future because of something you did or failed to do? As an unmarried man, who’s hoping to become a father one day, are you thinking about the kind of father you will one day become to your children? While society as a whole may undermine the role that fathers play in every spectrum of life and particularly in a child’s life, but children impacted by good fathers will never forget. They will emerge with the blueprints and evidence of the deposits and sacrifices made by their fathers, and will grow up to affect their world in a positive way. I recognise that being a good father is a tough job and men deal with personal struggles that they are sometimes too ashamed to admit. However being a true father means they are brave enough to ride it out, determined enough to become a better version of themselves and selfless enough to sacrifice. The result will be that they will raise future generations who won’t have to confront what they should have overcome, and raise champions who will be a blessing and joy to society, them and to God. Some men did not grow up with their biological fathers due to them being intentionally absent, or dead, and therefore may feel deprived. This is because it’s easier to run the race of life if you have a reference point and can see someone who’s run ahead of you, rather than starting from level zero. David was sure that God would look after him no matter what, and this is evidenced in some of the Psalms he wrote. He didn’t just see God as the God of his fathers but as a personal Father who would never leave or forsake him. Some of the characteristics of great fathers include their ability to provide for their children, to protect, nurture and to bless them. You too have the same privilege as David if you choose to have a relationship with this same God. Not only does He want to be a father to you, but he also wants to help you succeed in your fatherhood journey. To absent in body, but never forgotten dads – whose memories continue to inspire their children to want to be the best version of themselves, to aspiring fathers, and to present, and intentional dads, we wish you a Happy Father’s Day!